Experiments in Ethics by Kwame Anthony Appiah. Photo credit: Amazon.com (https://images-na.ssl-images-amazon.com/images/I/71KPVAHdjlL.jpg). You’re in a dilemma. A train is about to run over five people strapped to the tracks. You may pull a lever to switch the train to another track where the train would only kill one person. In this thought experiment, known as the trolley problem, what would you do? Some might argue that killing fewer people is a more favorable outcome, therefore, they would pull the lever. Others might stick to moral grounds of life-or-death decisions and choose to not pull the lever. Regardless, the way humans respond to the trolley problem is part of our ethical dilemmas. From large-scale issues such as access to health care to everyday experiences like giving money to homeless beggars, we test our sense of morality everyday. And the way science and philosophy intertwine with one another become apparent. It’s hard to ignore the alarms on science and health anymore. With current concerns brought on by gene editing, end-of-life care, and self-driving cars, the boundaries between right and wrong become fuzzy. Philosophers and scientists have taken center stage in battles of these ethical issues. And, with these ethical questions raised, we’ve developed new ways of looking at the world. Drawing from history, scientific experiment, and speculation, Kwame Appiah’s “Experiments in Ethics,” takes a look at this ethical research through the history of science and philosophy. Like the Trolley Problem shows, our own morality is deeply embedded in human nature, and a combination of science and philosophy, when studied together, can provide this insight into right and wrong. As Appiah explains, science and philosophy have had a long history hand-in-hand with one another. As 18th-century German philosopher Immanuel Kant said, studying concepts of the mind without empirical science is empty and studying science without philosophy is blind. David Hume, 18th-century Scottish philosopher, sought to show that moral philosophy makes sense with human nature. American rapper Rakim said, “Scientists try to solve the context. Philosophers are wondering what’s next,” in his song “Don’t Sweat the Technique.” Though Rakim brags about these researchers trying to understand his sick lyrics and rhymes, it’s a helpful distinction to show. Scientists want to know the material world, what things are made of, and empirical causes for observations. Philosophers speculate, search for answers that result from reasoning, and find answers for more open-ended questions. This generalized boundary between scientists and philosophers – with the former studying the present and the latter looking to the future – rings through in our current events. Understanding these connections between these fields, the stage is set for making sense of human morality. Our current understanding of moral responsibility hinges on how people behave in tricky situations. Like participants in the trolley problem, events such as the Rwandan genocide of 1994, come about by those ethical decisions by people in dangerous situations. Appiah argues that people should understand how to reason ethically in dire situations – rather than education solely on virtuous characteristics. The way we behave with courage, generosity, patience, or other ways of describing moral behavior, results from these decisions. Appiah’s writing is eclectic, drawing from contemporary social psychologists to the Classical philosophers. Yet, his writing style is easy to understand and elegant in delivering difficult-to-understand concepts. 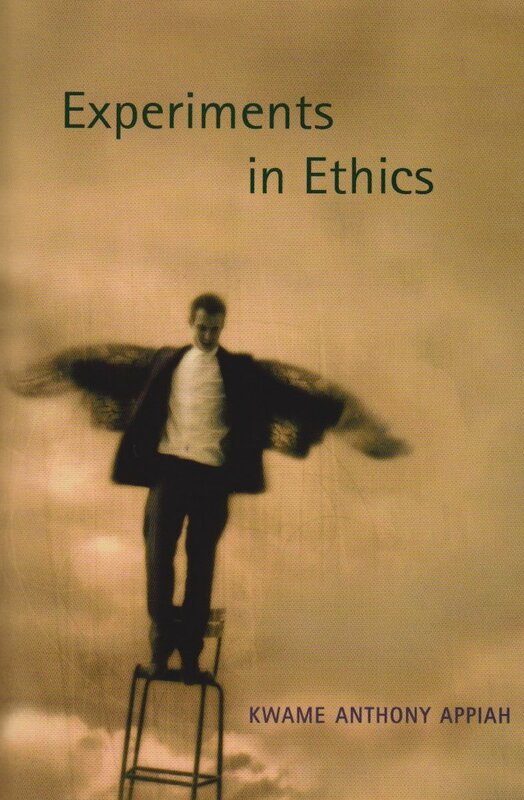 I found his book “Experiments in Ethics” inspirational to my career as a scientist-philosophy bounty hunter. It sparked a fire inside me during my senior thesis research while I was an undergraduate. His writing makes the reader feel as though they truly can understand philosophy, and he gives people insight into their own moral behavior. Like any researcher, we’re always trying to solve the context while wondering what’s next. This entry was posted in Book Reviews, Guest Review, Other and tagged book review, Ethics, Kwame Appiah, Philosophy, Science. Bookmark the permalink.